If you’re planning your wedding on a tight budget, you know the stress that comes with all that decision-making. Sometimes, the whole process just seems overwhelming. You feel social pressure to make your day a big blowout, and you wonder if your wallet can take it. Actually, there’s no shame in having an affordable wedding. All that money can go to other things: saving for the honeymoon, saving for a house, or just plain saving for a rainy day. If you want to marry the love of your life without breaking the bank, you’ve come to the right place. We’ve assembled a staggering list of 92 tips in 11 chapters that will help you save on EVERY aspect of your wedding. Let’s dive in! When creating a wedding budget, it is imperative to be realistic about how much you can spend on your wedding. Look at your and you fiancé’s income and decide how much you can afford to save away. If either the bride or groom’s family is covering the wedding, have a serious discussion with them about the budget for the wedding. Knowing how much you can spend will determine all the major purchases for the wedding—from venue to the dress. It’s important to know just how much you can spend. Otherwise, the receipts from the wedding could hit you pretty hard. In addition to creating the budget, you have to actually stick to it. Calculate every purchase you make from the time you create the budget to the wedding (and yes, you do have to factor in the $.99 ribbon you got on sale). We mean EVERY purchase. This is because the little costs (like a lot of $.99 ribbon) will add up over time, and could even add hundreds onto your costs. Factoring in those purchases will help you know just how much you’re spending. Before you even start saving money on your wedding, start saving money in your day-to-day with these 51 money saving tips from Collections etc..
Getting a wedding credit card is one of the best decisions you can make while you’re planning your wedding. Every purchase you make can help you gain points for flights, get cash back, or any other number of benefits. You know that you’ll be making a ton of purchases, a ton of large ones at that. Why not get a free plane ticket while you’re making the purchases you have to anyway? High demand=high cost, and nothing can be truer of the wedding industry. Weddings through the months of April to September are much higher cost than those in other months because most brides envision a summer wedding. The weather is generally warmer, making outdoor ceremonies more reliable and comfortable. However, you can have an equally comfortable wedding at an alternate time of year. 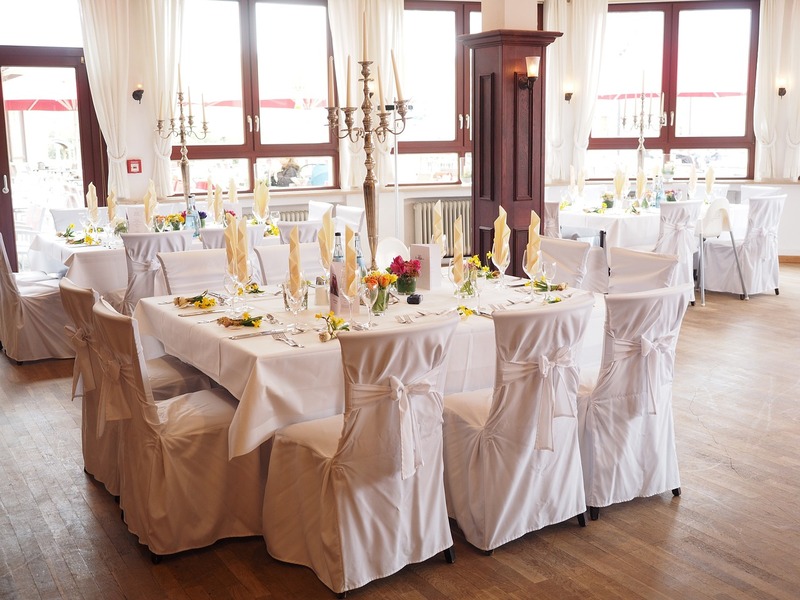 If you plan it towards the end of March or the beginning of October, your wedding venue costs might be slashed because your event will be held outside of the traditional season. If they aren’t slashed right out the gate, point this out to the on-site coordinator and they might bring down the price to sweeten the deal. 4. Eliminate small fees, like picking up cakes, dresses, etc. Your bridesmaids are there to help you on your big day. Let them. Instead of letting fees rack up for delivering cakes and dresses, delegate and designate specific people to help you with these tasks. Better yet, get your Maid of Honor to do it. Not only will employing your bridesmaids get the task done and save you money, but it also will help them feel included in your planning process. You will be happy that this stress is completely handled and that you have reliable people getting your packages. Traditional halls might be efficient in some ways, but choosing nontraditional venue can save you tons in the long run. Many times, these venues will allow you to choose your own caterer, which can save thousands in the long run. Each city is different, so that means thinking outside the box for your venue is different in ever location. However, consider these places to get the creative juices flowing: museums, art galleries, historical societies, favorite restaurants, barns, parks, or libraries. Whether you already live together or not, you and your partner probably have a lot of housewares already. If you don’t need a lot of towels, dishes, and so on, you can start a honeymoon fund. This allows your friends and family to give you a present that is physical but also beneficial. A honeymoon fund will help with everything from getting plane tickets to buying daiquiris on the beach. In the end, everyone gets what they want. Check out Wanderable, TheHoneyMoon, and HoneyFund for more information. Getting married on a holiday is a great way to get married during the week without making your guests unhappy. For instance, if you get married on July 3rd, your guests will most likely have Independence Day off and not worry about taking off work. The same thing goes for New Year’s Eve and many other holidays. If you and your fiancé have a holiday that is particularly special to you, consider holding your wedding that day. Your guests will surely have a unique experience. Vendor negotiation is one of the best ways to get the price down on any of your wedding vendors. If you do your homework with vendors in your area, you can get the ones you truly want to lower their price by significant margins. For instance, let’s say the venue you want to have your reception at is $4000. However, a nearby venue is only $1000. By going to your top choice venue and explaining that you want that you simply can’t afford them even though you love them, and that you’ll be forced to go with the place down the street, chances are they will lower their price at least a little bit. Negotiating and price matching help businesses retain customers, which is better for all parties involved. You might be DIY-ing your centerpieces, invites, or anything in between. Or maybe you’re having a family-friendly BBQ for your bridal shower. Well, don’t go to the store to buy the supplies you need without coupons. Especially in stores that have doubled coupons, you’re foolish not to use your couponing powers to your own benefit. Even though it might seem like small savings, fifty cents continually saved and doubled can add up quickly. WeddingCoupons.com and ExclusivelyWeddings.com offer some fantastic options. This might sound counterintuitive: after all, planners cost money, the exact thing we’re trying NOT to do. However, while you might be hesitant to put up the initial money for a wedding planner, the investment is likely to pay off. Because wedding planners have connections to vendors in the area and have already built up relationships, their chances of getting you a discount on your venue and vendors is far more likely than your chances going in cold. If you think you might have the extra money in your budget, it is definitely worth considering. Asking your already-married friends for referrals on photographers and caterers is probably something you’ve already done. However, if you decide you like the vendors your friends referred you to, a little name dropping wouldn’t hurt. To ensure that they create lifetime customers not just from you, but also from your friends, vendors might be willing to sweeten the deal with a small discount. If anything, it’s worthwhile to try and easy to do. Your friends can help you out with many aspects of your wedding. If you have a large bridal party, put those people to work creating your centerpieces, doing calligraphy, printing programs, and anything you can think of in between. Instead of buying these items premade, you can create them with the people in your wedding party. Not only will the process go a lot faster, but it will come out cheaper. You might feel like you need to include every friend you’ve ever made in your bridal party. You don’t. Having a small and intimate bridal party is beneficial on multiple levels. However, on the financial front, you have fewer gifts to buy, fewer makeup sessions and hair sessions to pay for, and can afford a smaller vehicle to get you from point A to B. Overall, less is more in this situation. 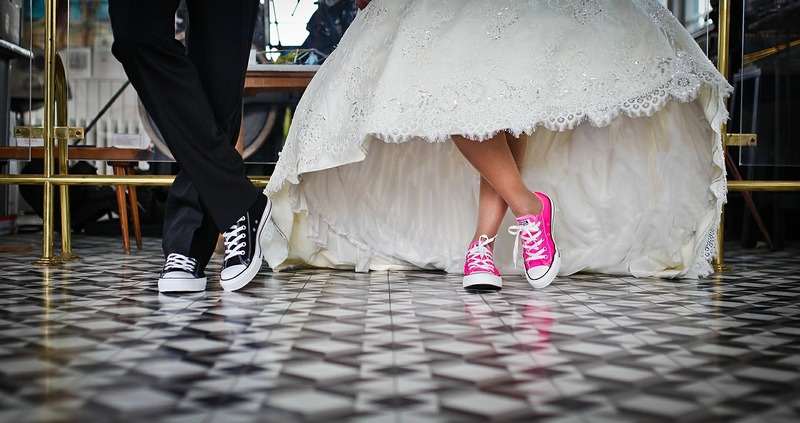 The sooner you begin saving for your wedding, the easier it will be to digest the costs later. If you and your partner begin talking about marriage, set up a savings account for the wedding and deposit into it consistently. Even just $50 each paycheck is better than nothing. That’s $100 a month or $1200 a year. It’s much easier to begin wedding planning with some kind of savings than to start from scratch. Everything costs more in the city, including weddings. Small towns will give you oftentimes the same package as inside the city for a fraction of the cost. If one of your non-negotiable venue requirements isn’t that it must be in a big city, consider looking in the small towns around that city for venues that are just as unique, cool, and beautiful without breaking the bank. If you decide to go with a large venue, don’t rent out parts of it that you don’t need. 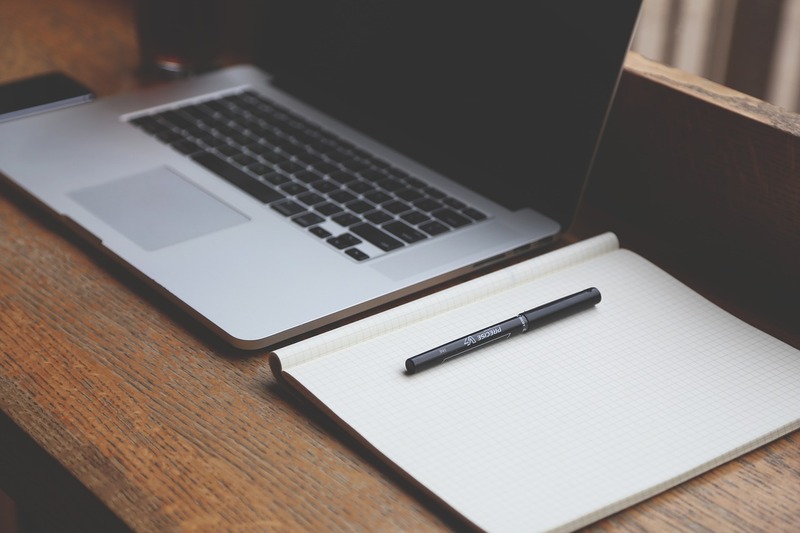 Carefully examine floor plans of your venue and determine which sections are necessary. Then, go to the coordinator at your venue and talk to him or her about the possibility of lowering the price of your venue by only renting sections of it. When we think of destination weddings, we think of high-end affairs that usually are high-budget. However, that is actually a myth for many all-inclusive destination weddings. In fact, taking a small group of people on a destination wedding venture might actually cost less than having a sit-down dinner for a hundred guests. No matter what your friends have told you, you DO NOT need to get married at the largest cathedral in New York City. Nor do you need to have your reception at a place that was featured in a movie. Having a famous location is cool for about thirty seconds, but hopefully it won’t be the main thing people remember about your wedding. After all, in twenty years you don’t want people to be saying “So-and-so got married at the house from that movie!” Instead, aim to have them saying, “So-and-So have such a great marriage!” Fundamentally, your marriage is about love, not the trappings. This subject can be a little touchy. However, it might be a necessary cut to make. If you go this route, you need to have a mature, honest conversation with family members about why exactly children aren’t invited. No, you do not need to invite your great aunt twice removed that now lives in Bangledesh. No, you do not need to invite that barista that you see every day at the coffee shop. No, you do not need to invite that coworker of your mother’s that you talked to at a Christmas party. You get the idea. Don’t invite people simply because you feel social pressure or you’re worried about hurting someone’s feelings. This is YOUR day, and might I add, one of the most important days of your life. You want friends and family that are important to be by your side, not the weird dude from a Christmas party. When it gets down to the wire and you need to make cuts in one area or another, one of the best ways to do this is by cutting one group entirely. You can begin by separating everyone into different categories and then eliminating the category. Begin with categories like exes (which you might not really want at your wedding anyway) and bosses, then slowly keep shaving away until you arrive at a number you’re happy with. We all have that friend that is seeing a new person every three days. Just because your friend has a new flavor of the week does not mean that person has to attend your wedding. Don’t think that everyone needs a plus one just because they aren’t married themselves. One good rule to establish is that if you haven’t met your unmarried friend’s significant other, you don’t have to invite him or her. Do you have a friend that does photography for fun? Do they use something other than their iPhone to take these pictures? If you have a friend who’s a decent amateur photographer, consider asking your friend to take your pictures. If you ask them to do it as their wedding present, it will essentially be free. 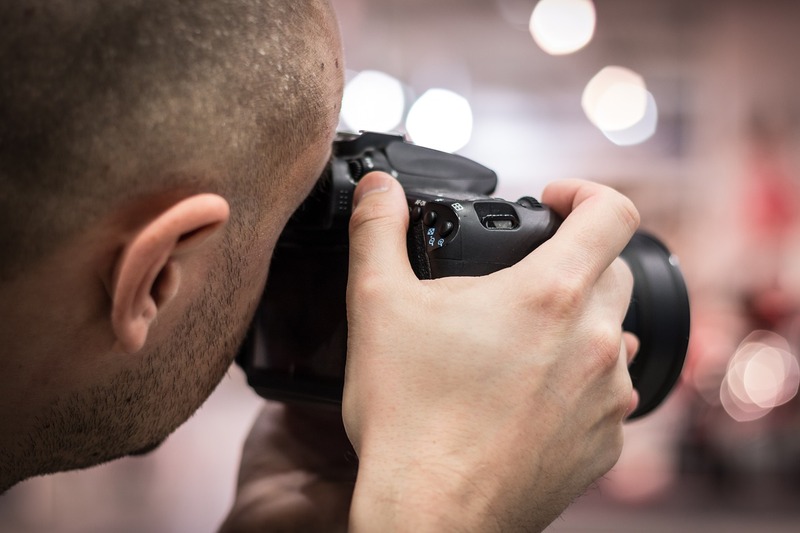 However, be sure to realize that you won’t be getting professional photographs out of your friend: they will be giving you their best work, but it likely will still be amateur. You also must consider how much of the actual wedding festivities your friend will be missing in order to take your pictures. If you still want an inexpensive photographer but are looking for something more professional than a friend with an expensive camera, check out your local college for a photography school and ask the professor there for recommendations on students. Chances are that the students won’t charge an arm and a leg for your wedding pictures because they will be happy to just have the experience. And, the benefit for you is that you will get a photographer that knows a thing or two about lighting and positions. Your friends are talented people. Chances are, you have friends that know how to cook, DJ, emcee, play ceremony music, and everything in between. Asking your friends if they would be able to help you with your DJ and emcee roles will help, especially if you’re confident in your abilities to create a rockin playlist. This is a cool way to get your friends involved in your wedding, and if you have a friend that is especially outgoing and the “life of the party”, he or she won’t mind being your emcee or DJ. It’s a job that doesn’t require tons of energy or practice, and the important thing is that your friend will still be able to enjoy the day. Friends that are musicians might use your wedding as a way to show off hidden talents or get involved in an instrument they haven’t picked up in a while. Having conversations with your friends on how donating their talent to your wedding instead of giving a monetary gift will help you. Spotify could be one of the biggest lifesavers you have during your wedding. If you decide to collect your own music for your wedding instead of hiring a professional DJ, Spotify will help you immensely in collecting music and creating playlists. You literally just have to plug in your phone and hit play in order for the music to start rolling. You will have to get Spotify Premium for this; however, Spotify Premium is offered as a one-month free trial before you have to start paying. So, if you upgrade a week before your wedding and then cancel the subscription, even that will be free. Vendors tend to do a funny thing when you mention you’re planning a wedding. That funny thing is amping up the prices of their services! When you call vendors for quotes, leave out the word “wedding” and just say you’re planning a party for around 150 people (or however many guests you’re having). This will help you get a more affordable price. An outdoor wedding can happen on any location that has space for guests and a great view. If you know any friends or relatives who have a farm or large, spacious property, consider asking them to let you use it. Of course, if everyone can pitch in for cleanup, this will help a lot. There are a few legal caveats with this tip, but if everything checks out in your state, this is a fantastic way to make your wedding intimate and personal. 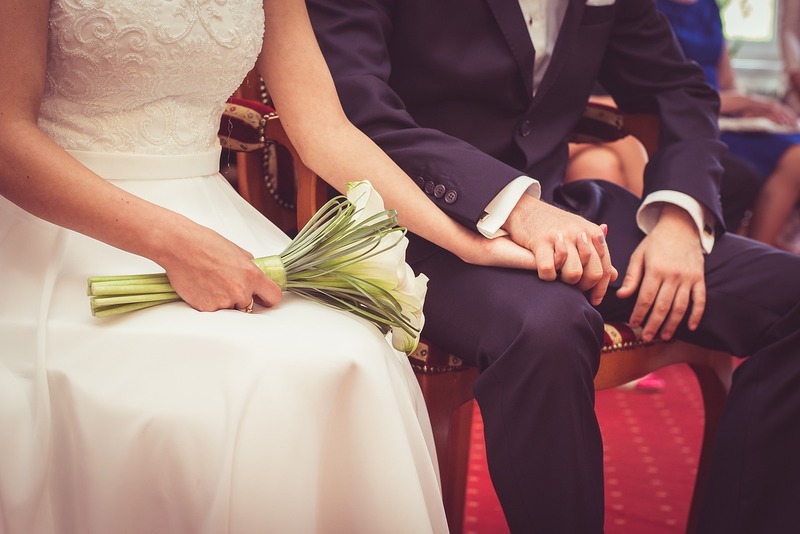 Belvedere Banquets has come up with a good list of things to consider before choosing a friend or family member to officiate your wedding. For instance, you should make sure this person is a good fit for the job and that it’s legal in your state. You also need to ensure you have a script for the ceremony planned out. Holding your ceremony and reception at the same location eliminates a whole slew of problems you might encounter. Not only does it help your guests find the right location, but it also takes away the problem of buying more décor, providing transportation for the bridal party, and can ultimately make your day much easier. If you have already found one venue that you love, whether it’s the ceremony or reception space, see if you can utilize the space completely as both venue spaces. One way to simplify your wedding is to ignore having a large formal ceremony and just invite immediate family and the bridal party to a ceremony with the justice of the peace. Ceremonies with Justices of the Peace can be just as beautiful as traditional ones, and skipping the grandeur of a traditional ceremony also means skipping the cost. 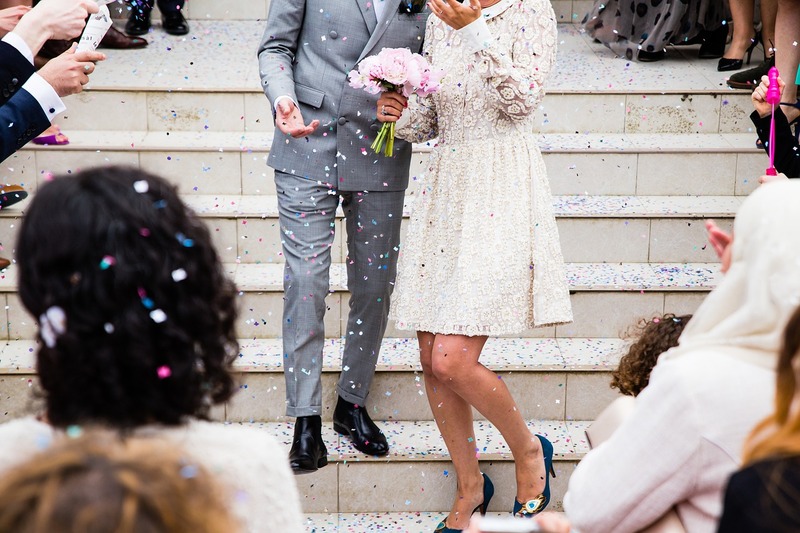 If you’re not especially committed to having a religious ceremony, a Justice of the Peace might be one way for you have a simple ceremony that can lead into your reception. If you do want to get a new dress that hasn’t been worn before, you still don’t have to succumb to paying full price! Instead, shop sample racks. Samples are the dresses that are tried on by other hopeful brides. Oftentimes, these gorgeous gowns go on massive clearance sales. Bridal Sample Store collects tons of samples. 35. Go Non-Traditional: Don’t get a “wedding” dress at all! As we said above, the second you add the word “wedding” to a sentence, prices skyrocket. Go to a store, even a high-end department store, and look for white dresses instead of “wedding” dresses. You’ll find gorgeous gowns that aren’t necessarily meant for weddings but are totally appropriate for the occasion. The best part about these dresses? You can take one home that day instead of waiting for your dress to be finished. Something old, something new, something borrowed, something blue. This cutesy rhyme is a special tradition for most brides. You can make it even more special by making your wedding gown the ‘something borrowed’ you wear. Your mother, grandmother, or a special aunt’s wedding gown might be the perfect one for your wedding day. Vintage trends are beginning to work their way back into the mainstream anyway, and this is a great way to get a vintage dress that has a special sentimental value. Ebay and Etsy aren’t just for electronics and antiques. They’re also great for finding wedding dresses! All the dresses on Etsy are in vintage or handmade styles, but on Ebay, you could potentially find designer dresses at killer prices. If you aren’t tied to trying on your dress before you buy it, then this could be a fantastic option for you. Even if you don’t have your mother or aunt’s dress to wear, buying vintage is still a great way to have a dress that’s inexpensive and unique. The only issue you might have with a vintage gown is that since it’s one-of-a-kind, it also might need some alterations. You may not see your final dress until shortly before the wedding. Bridesmaid’s gowns can be incredibly intricate. You might be surprised to find out that many are sold in white or ivory, even though that’s untraditional. Since these styles aren’t used as often for weddings, they will likely be a little cheaper. Sounds like sacrilege? It isn’t! From a practical perspective, there’s no reason to buy shoes and never wear them again. If you’re careful in your selection, you can end up with beautiful shoes that will go with more than just the famous white dress. All veils are beautiful, and you really can’t go wrong. Why not make it easy? Choose a veil that’s cheap and attractive. With all the Youtube tutorials that are out there, it’s easy enough for a friend of yours to do your hair and nails. So long as you invest in products that are above average, like nice hair spray and a no-chip polish, your hair could look like it’s done by the pros. Just make sure you do some practice runs to ensure that you are getting exactly what you want. A corset will allow you to adjust the dress on the fly. You can get it to match your exact figure—without paying a tailor to alter it. Titanium and tungsten rings are far cheaper than gold. Titanium is the perfect metal for a wedding band: it’s durable, beautiful, and elegant. 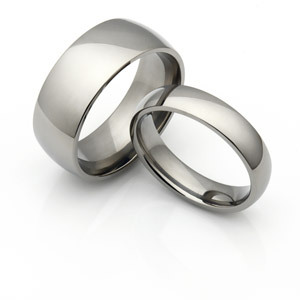 Your beau will love how titanium brings out the masculine lines of men’s wedding band designs. Of course, titanium and tungsten aren’t just for guys; they’re elegant for girls, too. Okay, every girl loves diamonds. But realistically, they aren’t essential. If you’re trying to cut costs on your big day, dropping diamonds will literally save you thousands of dollars. You might be surprised at the range of attractive wedding bands that don’t include diamonds. Invitations don’t have to be expensive. Get crafty! If you’ve ever worked in Microsoft Word or a page layout program, why not spend an hour creating your own invitations, then print them—either at home or at FedEx Kinko’s? Your invitations will be personal, just the way you want them—plus they’ll be cheap! On that note, why not skip the paper invitations all together? E-vites cut down on cost and landfill waste. If you do it right, no one will be upset that you didn’t use a paper invitation. If you’re not handy with design software and e-vites aren’t your thing, why not use postcards? They’re incredibly affordable, and you can still make them memorable. 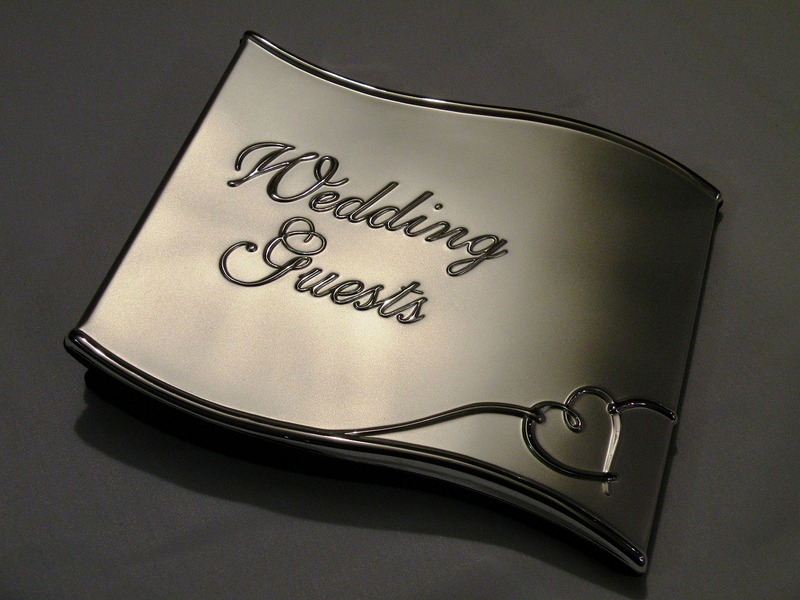 Consider decorating them with markers and personalizing your message to each guest. If your wedding invitations fit in a standard security envelope, you can buy the envelopes in bulk. Standard envelopes are always cheaper than envelopes for special occasions. Personalized calligraphy is a beautiful touch for a wedding invitation. If you get your parents and siblings together for a calligraphy party, you can produce all the invitations in one evening. Plus it’s a fun family bonding time. This one goes without saying. Whatever you’re putting on the tables, buy it in bulk—wholesale, if possible. This is far cheaper than buying 200 items at retail cost. Don’t feel guilty. A wedding is an expensive proposition, and it’s okay to give one favor to each couple rather than one to each individual. This won’t cut the number of favors exactly in half if you have single people or families with kids on your list, but it will reduce the total number of favors you have to buy. We love this idea. Why not let your guests know that instead of buying them something, you gave a gift in that amount to a local charity? Everyone will feel good about this one. Everything is cheaper in bulk, and flowers are no exception. Look into buying in bulk from florists and gardens. You might be surprised at what you find. It’s okay to have fake flowers! They make everything easier: preparation, cleanup, and payment. They’re generally cheaper than real flowers, and since they’re not alive, they can handle whatever you throw at them—or whoever you throw them at! Pinwheels and brooches make a beautiful alternative to living flowers. They don’t look fake; rather, they show off a creative touch. They’ll make your special day unforgettable. The craft world is full of amazing DIY flower ideas. You’d be amazed at what’s possible with a little paper, a little time, and a little folding. Paper flowers can create an especially unique accent on your big day—plus they’re far cheaper than the real thing. You don’t have to mix and match. In fact, simplicity can create an air of incredible elegance. Why not choose one favorite flower and build your arrangements from that alone? You don’t have to be a hippy to do this. 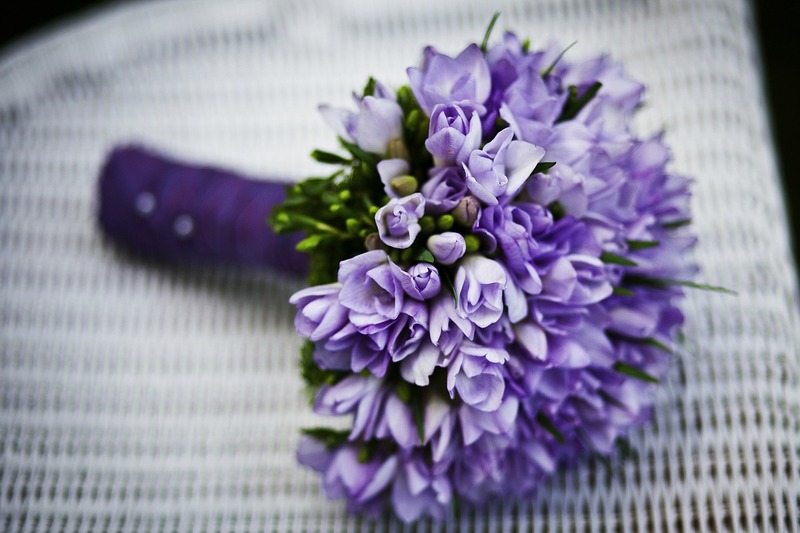 Why not pick flowers that are in bloom in waste places during the month of your wedding? Wildflowers like Queen Anne’s lace, dame’s rocket, and daisies are abundant in season, and their beauty is often overlooked. Making friends with your local farmers will definitely help you find wildflowers, but it might even help you source “traditional” wedding flowers. Either way, your local farmer probably has more wildflowers growing on his property than he cares to deal with. He won’t mind if you pick them before he mows. Bottles are cheap, and you probably already buy them for other purposes. Whether you love beer, artisan soda, or Perrier sparkling water, you can start saving bottles for your big day right now. Everyone will love the charm that these bottle-vases will add to your wedding. Cascades are beautiful, but they’re expensive. They won’t help you save money on your big day. Besides, dialing back a little can create a more understated, elegant look. If you choose your flower varieties carefully, the overall effect will still be breathtaking. Here’s a nifty idea. If you’re already purchasing those expensive bouquets, why not repurpose them once you get to the reception? There’s no shame in this. In fact, your guests will probably feel honored that you’re sharing your bouquets with them at the table. This tip is pretty simple. With larger flowers, you’ll cover more area, creating an impressive display; but you won’t need as many stems. That’s money saved. Believe it or not, wholesale stores can be a great source of wedding flowers. You just have to think outside the box and shop with a discerning eye. Alcohol is expensive. A bar is especially expensive because you have to pay a bartender—and most likely, you’ll be paying 2-3 bartenders. It’s okay to forgo the alcohol at your reception. You can still have a good time without booze—just crank up the dance music! How will a signature drink for your wedding will help save money? By allowing you to buy large quantities of a limited set of ingredients. Rustic Wedding Chic has some fantastic ideas on making signature drinks for your wedding. If you’re going to drink, liquor is generally the most expensive way to do it. Since it’s easy to get drunk off liquor, serving it at your reception can also lower the threshold on inappropriate behavior. If you don’t want your guests to get too tipsy, and you want to save money, serving cheaper wine and beer is a great way to go. If you do provide liquor, leave the shotglasses at home. Doing shots is a great way to blow through a lot of liquor—fast. Consider providing liquor that’s meant to be sipped, like bourbon, rather than something people only drink to get drunk; and provide the traditional glasses for enjoying it. If you are having children at your wedding, don’t bother getting them the fancy caviar you’re serving their parents. They probably won’t enjoy it, and you’ll be wasting your money. Instead, see if your caterer or vendor will allow children’s meals to be made for anyone under the age of thirteen. These meals can consist of pizza, chicken tenders, or anything that you think kids would like. Caterers vary in price. 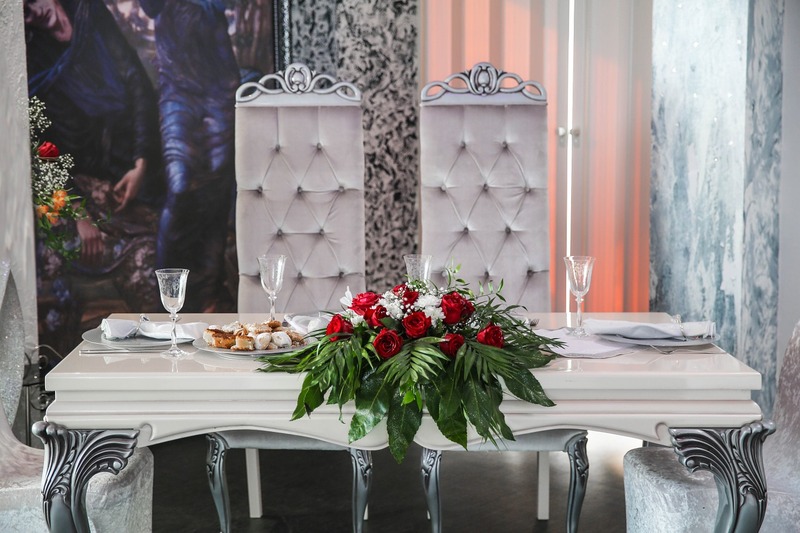 If you manage to find a caterer that you like that is inexpensive, you may run into an issue if that caterer isn’t on the preferred vendors list at your venue. 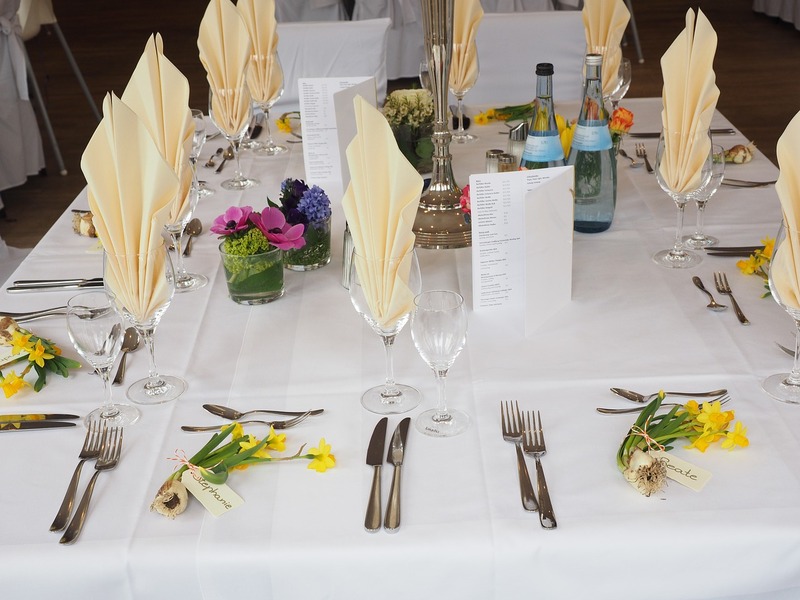 Before choosing a venue, talk extensively with the coordinator about having outside caterers. If you do this, it will be easier for you to make the case for your caterer down the line or choose the venue that’s perfect for you. Cupcake bars are not only trendy, but they are also tasty and efficient. Handing out individual cakes is much simpler than cutting a huge five layer masterpiece. It also can be cost effective, depending on how intricate you want your cupcakes, oftentimes ordering 100 cupcakes is much less costly than a tiered cake. Candy is the ultimate dessert! It’s not a huge bill, especially if you buy in bulk or from a wholesale store. It’s definitely cheaper than a cake! You can create a candy bar with old style apothecary jars, goody bags, and a little confetti. Your guests will have an interactive way to make their dessert, and they can even take some home with them! If you have a professional baker in the family, utilize that resource! However, even if you don’t, you can still ask your family to help. Chances are that there’s an aunt or cousin of yours that’s known as a baking master. Asking that family member to donate their baking talent as a wedding present is a great way to get your cake made, add a sentimental touch to your wedding, and not worry about the huge price tag associated with big cakes. Especially if you have your wedding in the afternoon, you can get away with having heavy hors d’oeuvres, light drinks, and cake could replace an entire meal. While this still isn’t commonplace, it is definitely socially acceptable. Just make sure you clearly indicate on your invitation that you’re not serving a full meal, because if guests with grumbling tummies does not bode well for a happy reception. Brunch isn’t just fun to eat. It’s actually cheaper than steak, chicken, and other traditional wedding fare. Having a “gourmet” waffle bar with breakfast meats and other brunch favorites is a sure-fire way to fill up your guests, create a memorable reception, and also save some cash. Don’t forget the maple syrup! Family style dishes are not only easier to pack up at the end of the night, but they also allow your guests to serve themselves. Buying in bulk is often cheaper! The only downside to this plan is that it does restrict what kinds of dishes you can serve. Family style works best with Italian and Indian dishes. It doesn’t work as well with steak and other traditional wedding dishes. This tip is pretty self-explanatory. If you’re planning to have alcohol at the reception, you should try to source your alcohol at a store that will let you return unopened bottles—unless, of course, you want to keep the unopened bottles for your personal bar! However, returning bottles when possible will save you a lot of money. Comfort food is cheap food. Rather than having expensive steaks and seafood catered, go for comfort food like fried chicken, mashed potatoes, and macaroni and cheese. You know it’ll taste great, and you won’t endure any of the heavy costs associated with fancier meals. Believe it or not, people will take less food and become full on less food if the plates are smaller. We actually don’t need as much food as we think! If you incorporate this principle into your reception, you can plan for smaller portions and buy less food. 81. Don’t guess how much food you’ll need; calculate it! Take time to do the math. If a healthy meal is 6 ounces of protein, 4 ounces of vegetables, and one serving of carbs, multiply this by your guest list and add 20% on top as a contingency plan. Take the guesswork out! This tip will only save you money if you get the flowers from your garden (or use wildflowers). But that’s easier than you might think. You won’t need a lot of flowers, just enough to add a nice touch to your cake. Forgoing iced flowers will cut down on the cost of your cake. This is an easy way to trim your wedding bill. Guests can toast with anything drinkable. They won’t mind if they’re raising their wineglasses, beers, or ice waters. The main point is toasting the happy couple. Buttercream is cheaper than fondant. Plus—are you ready for this?—it actually tastes better! Buttercream has a rich, old-fashioned feel, compared to fondant. This tip will save you money and produce a more delicious cake. 85. Forget the caterer—do a family potluck! You’d be amazed how much family and friends will chip in if you ask them. Baking a casserole dish or preparing a family-sized bowl of salad isn’t hard, and many of your guests probably do this on a routine basis already. They will love contributing to your meal. If you think the local dollar store is chintz city, think again. Dollar stores often get closeouts and odd lots that they need to move fast. If you go in with an open mind and a ready eye, you just might find a great deal that looks amazing. Some venues have wedding décor that they keep in storage. There’s no shame in using this décor! If the décor is free to use with the location, you’re in luck. If it’s not free, don’t be afraid to negotiate and get the price down. This tip is simply brilliant. The larger each decoration is, the more space it will cover, creating a great overall impression. Larger decorations may give you more bang for your buck than smaller decorations. Let’s face it, you don’t need wedding décor after your big day. People who buy their own décor are looking to sell it. 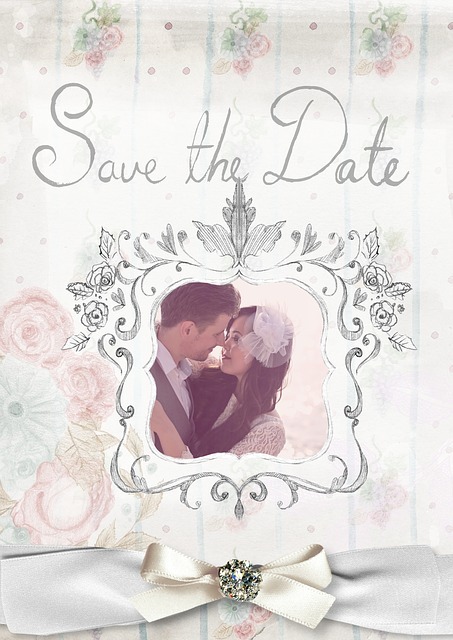 There are many wedding décor marketplaces online. This article from Woman Getting Married lists some excellent places to look. Pretty obvious! If you bought it yourself, why not sell it to another bride in need? Of course, you need to be fair about your prices. Remember, it’s used, so you should take at least half off the retail price. To get started, check out the list of marketplaces in point #93. 91. Avoid décor with the word “wedding” or “bridal” in the title. Unfortunately, the industry knows it can gouge you for your wedding. If you search for décor with the term “wedding” or “bridal” in it, you’re telling retailers that you’re willing to be gouged. Think outside the box—maybe seasonal décor that’s on sale at your local craft store. It will be cheaper if it’s not being marketed specifically for weddings. Personalization is nice, but it can be expensive. Save monogramming for the most important elements, and you’ll save a lot of money. If only one or two items receive a monogram, that makes them all the more special.